Make your free year 2010 calendar! 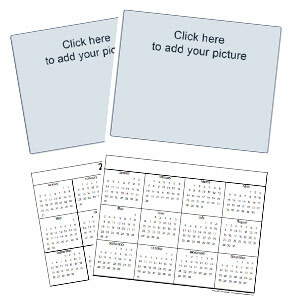 Build your own custom 2010 photo calendar using our picture calendar template! Our blank 2010 photo calendar template can be updated with a title and photo! Need a calendar for a different year? 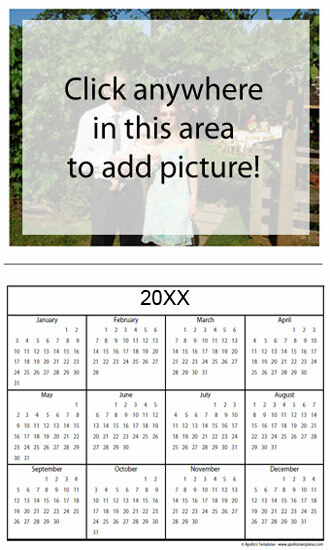 Once you have downloaded your free 2010 calendar template in step 1, you can add a picture. Then update the year title if you wish. Note: Remember that you can't save changes to your printable calendar after making them - so remember to print. Purchasing a copy of Adobe Acrobat Professional will allow you to save these templates.